We are going to discuss about the all new Windows App Store in Windows 8.1 preview. Yes, even the Windows Store has gone through some changes and I couldn’t help noticing it; since when I started using this new version of Windows 8. 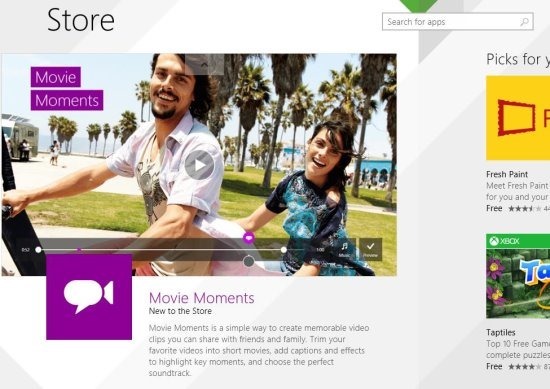 Windows 8.1 Store has new look and new features. Most of it’s features and look resemble the Linux based operating system. I feel Windows 8.1 could have done better; but still let’s discuss the changes and settings of all new Windows 8.1 Store. On a whole I feel the Windows Store lost it’s simplicity, by looking at it’s homepage. But the App details page looks good and better than previous app Store with user ratings, reviews, and suggested apps. The app looks cool and beautiful than before. But there are no categories like: games, entertainment, education, health, etc. They are all gone and only sections like: Picks for you, Popular Now, New Releases, Top Paid, and Top Free are available. Picks For You: This section shows some random apps and if you click on them, may be the app stores what kind of apps you are viewing (like iOS). You can also click on “Not Interested” button available and then the app store notes down your feedback. 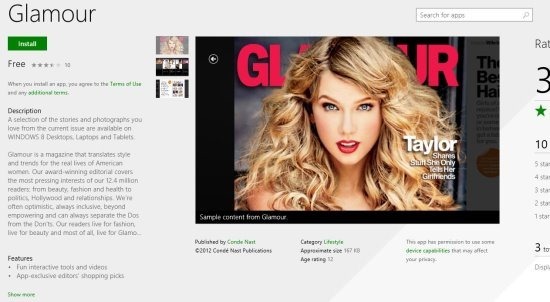 Popular Now: Popular Now shows the popular apps that are being used by the users of Windows 8. New Releases: This category shows the newly released apps in this section. Top Paid: In this section you can view the popular paid apps. Top Free: You can view the popular apps available for free download. If at all you want to view some app or category that’s in your mind, just type it in the search box available. You can also right click on the Windows 8 store app to view the categories that existed before. If you want to go back to home page, then click on Home button or to view the apps you installed click on Your Apps. Click on Your Account to view the settings of your account. These App pages look similar to the famous mobile OS. But still the look is great on Windows 8.1 preview. You can see the details of the app, ratings, images, reviews, details, related apps, and apps by the same developer. You can scroll through all these details in one page itself. And the new improvement I observed in this version of OS is that, even if you open Windows Store page in Chrome Browser and click View In Windows Store, the store opens up the App page. The verdict of this new Windows Store is that it’s new and beautiful. Complicated than before but simple to use.